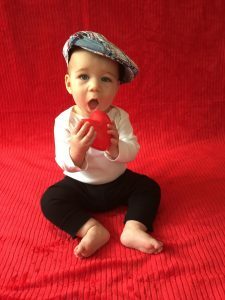 Every parent knows that a good stroller is key and urban parents know that a great stroller is a game changer in your parenting bag of tricks which is why I was so excited to hear about the new GB Pockit stroller. The GB Pockit stroller made waves at this year’s ABC Kid’s Expo and parents everywhere were eagerly anticipating it’s debut like the release of the hottest summer blockbuster film — and with good reason! 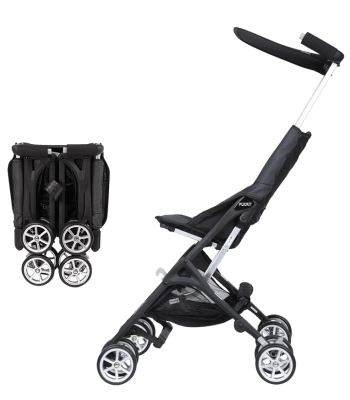 The GB Pockit stroller is the holy grail of compact strollers and after taking the Pockit through the paces of my life with an active toddler, I’ve joined the long line of devotees absolutely obsessed with this stroller. Need more? 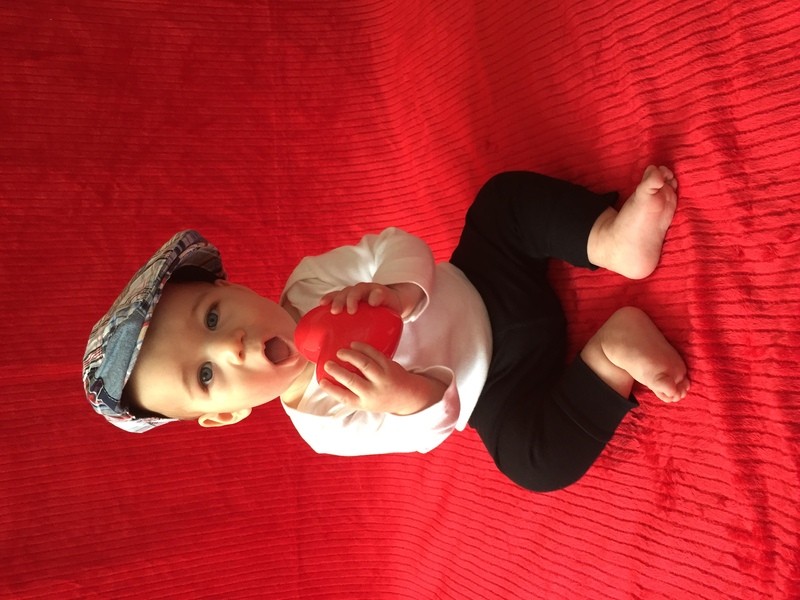 Here’s 7 reasons why I’m obsessed with the new GB Pockit stroller. 1. It’s the smallest folded stroller ever. Literally. Not only does this ultra compact fold mean that I can stash my stroller in the overhead compartment on an airplane or under the seat while riding the bus, it also means that when I don’t need the stroller I can fold it up and carry it in a tote bag!!! I love that the small fold means that I only have to deal with a stroller when I actually need it. A compact folded stroller means that I don’t have to decide between wheeling an empty stroller for most of the day just to have it when my little guy gets tired or leaving the stroller home and carrying a snuggly but heavy toddler when he gets too tired from our adventures. 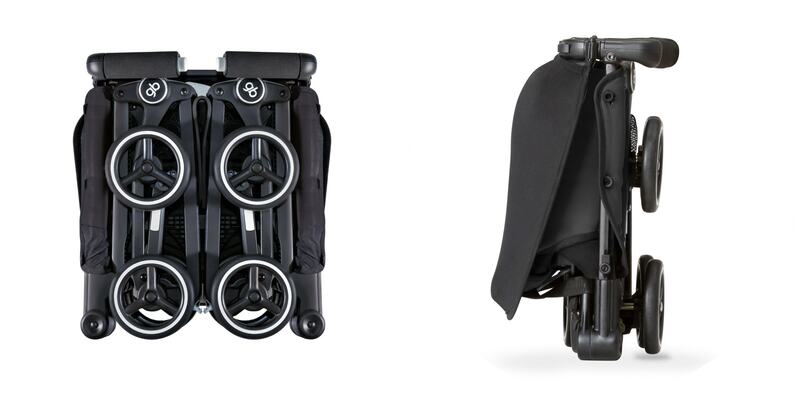 The compact fold of the GB Pockit means you can have the best of both worlds and have a stroller magically appear from your bag when you need it. But a compact fold would be nothing without a lightweight design, which brings us to…. 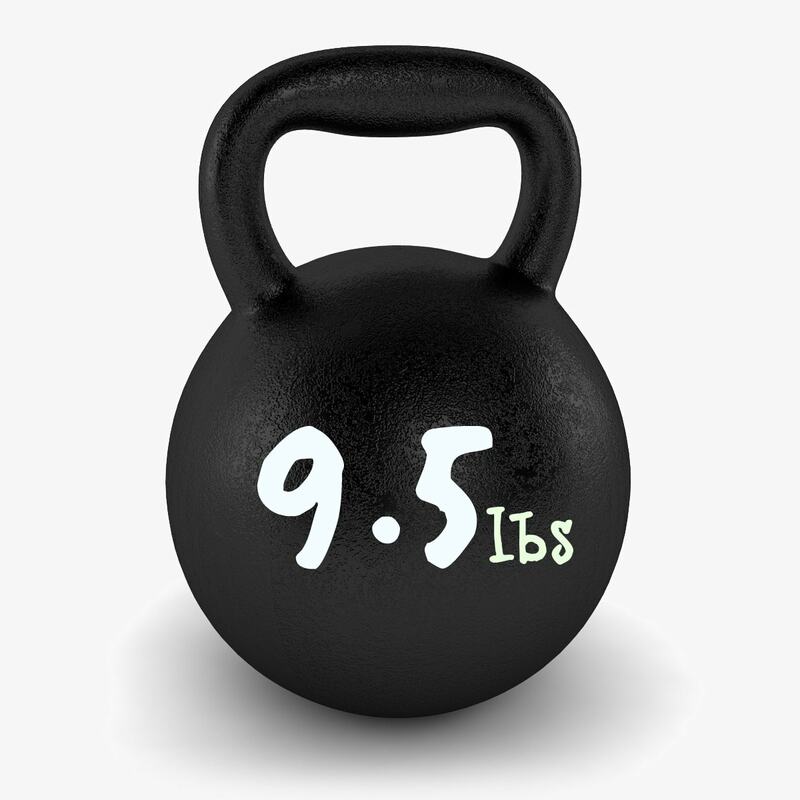 Before receiving the GB Pockit I had obsessively read all its amazing stats and was particularly interested in the lightweight frame but even thought I had read that the stroller was only 9.5 pounds I was still shocked to feel just how light 9.5 pounds actually felt. Compared with comparable umbrella strollers on the market which usually fall in the 14-18 pound range, the GB Pockit is a featherweight with functionality that knocks the heavyweights out of the park. The ultra-lightweight design means that not only does it fit in a tote bag, but it is light enough that I can actually carry it around in one all day without being bogged down by the weight. 3. Despite its small size and lightweight, it packs a punch: there’s a surprisingly good sized basket and it’s an amazingly smooth ride for such a compact stroller. The stroller may be compact but the basket underneath is surprisingly robust for a stroller this size and can hold up to 11 pounds. While the basket is not big enough to do your grocery shopping like on a full-sized stroller, for a compact stroller option I was pleasantly surprised by how much I could fit in the basket, certainly enough for a day of adventures with my toddler. As an added bonus, not only is the basket bigger than its counterparts, it is also very easy to access which is a feature that has frustrated me on comparable strollers. 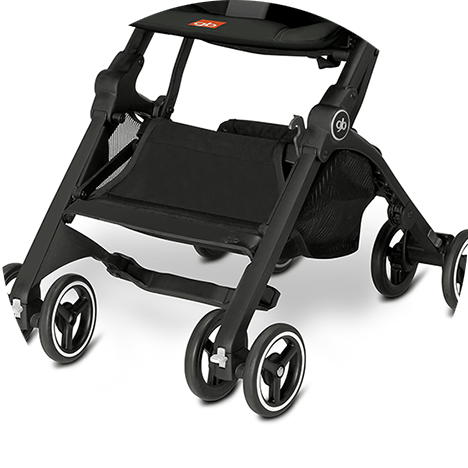 Similarly, the 4.5″ EVA wheels, while compact, are well designed to provide a smooth ride and a great turn radius making it incredibly easy to navigate the stroller, even one-handed. 4. It’s ridiculously easy to fold and unfold. With all the lightweight and compact features that the GB Pockit offers I was expecting to have to give a little when it came to ease of fold but boy was I wrong! The Pockit stroller is incredibly easy and intuitive to fold and simple to pop up and down in seconds which is yet another reason that this is a fantastic stroller for day-to-day and long-range travel. As a nice bonus, when folded the stroller stands on its own so it’s both functional and easy to keep your stroller clean and off the ground. This may seem like a silly reason to be obsessed with a stroller but for urban parents, this is a major factor in getting out and about with your baby or toddler. Most urban restaurants have an extremely limited area to store strollers and some restaurants don’t allow strollers at all, but restaurants are always thrilled so see me pop down my GB Pockit stroller to its compact folded size and are always happy to accommodate me, even if they have a no stroller policy! This small detail expands the world of restaurants we can take our toddler to exponentially and that means more fun for the whole family. Even if you don’t live in an urban city, this is an important feature to keep in mind for when you travel and need a stroller to explore the city but want to explore the local dining scene as well. 6. The roomy seat and the high weight limit means this is the last stroller I have to buy. The GB Pockit stroller can be used from 6 months up to 55 pounds (the size of an average 5-year-old). This is HUGE. A lot of other compact stroller options on the market top out at 35 or 40 pounds which means that just as you’re falling in love with it, it’s time to “upgrade” to something new. Who wants to keep replacing expensive strollers (not to mention where am I supposed to store them all?). I love that the GB Pockit stroller’s design and weight limit means that no matter how fast my toddler grows out of his clothes at least his stroller will always be a good fit. 7. My toddler loves it. Perhaps the biggest factor in my obsession with the GB Pockit stroller is the fact that my toddler absolutely loves it. The lightweight design means my toddler has fun pushing the stroller around the apartment and really making it his own and the roomy seat means that he doesn’t feel penned in by the stroller so he’s always eager to hop in the stroller when it’s time to head out for a walk. Hands down, this is THE stroller to buy for anyone who is looking for a lightweight stroller that is easy to travel with but still has great functionality for day to day use. Pick up yours today and you’ll understand why moms all over are obsessed with the GB Pockit stroller. 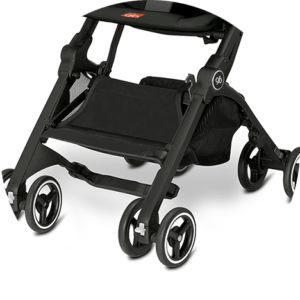 The amazing GB Pockit stroller is currently available in black with more colors coming soon and it retails for $249.99 and can be purchased at Babies R Us. Sample provided for review. Unbridled enthusiasm expressly mine.